A good candidate engagement strategy attracts and retains talented applicants, wherever they are. Four modern ways to engage candidates throughout the hiring process. Begin by examining the job listing itself. Most posts contain the same information - job description, essential skills, how to apply, etc. - but your company has a lot of leeway with how it creates these listings. "Identify traits of your ideal new hire." To determine the best way to write and organize your job listing, take a retroactive approach and define who your ideal candidate is. This is a key concept in marketing - most senior executives research the needs and actions of their target demographic before creating a marketing strategy, eMarketer found. HR departments should take the same approach. Identify traits of your ideal new hire, then conduct market research to find out the best method of targeting these candidates. Determine the keywords these people search for, use appealing language and structure the listing so applicants see the most important information first. For example, if you want a person who blends well with the company's culture, try describing your business before discussing the job description. That way, job seekers immediately know whether they'd be a good fit. Next, find out where your ideal candidates look for jobs and post your listing there. Indeed, Monster and Ziprecruiter are all great for targeting a wide audience. The Muse's website design is very attractive to millennials and the tech industry, while Business of Fashion targets people who want to work with the world's biggest fashion brands. Now that you've written the job posting, make sure candidates can easily get in touch with you. An online presence isn't enough these days; you have to make your business available on mobile device. Otherwise, according to Glassdoor, you could lose up to 45 percent of your potential talent pool. Make sure your application process is available on both tablets and smartphones. According to Deloitte, people look at their phones 47 times a day. Informate found Americans in particular spend almost five hours per day scrolling through emails and messages, playing games and, of course, looking for jobs. "Job seekers want more control when it comes to their careers." The Society for Human Resource Management provided some stunning insight on the way today's job seekers find new employment. From start to finish, job seekers want more control over their careers. When it comes to recruiting, you can help them out by keeping candidates up to date on the status of their applications. Send periodic text alerts and let applicants know the estimated timeline for things like background checks. Reaching out to your applicants before they contact you not only satisfies their desire to be involved in their careers; it also positions your business as an attractive employer that cares about its workforce. Any disruption in the application process could cost you a great new hire. Unfortunately, sometimes you need to follow up with additional information for things like background checks and license verifications. In these instances, you must make it as easy as possible for applicants to get this information to you. Alert them promptly when you need additional information so you don't delay the process, and provide multiple ways to submit. For instance, let them sign form with an e-signature or take and send pictures of documents with their smartphone camera. Candidate engagement doesn't end once the person has accepted a job offer. 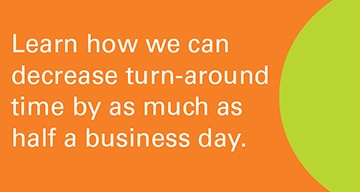 It simply switches to a new name: employee engagement. Make the onboarding process as welcoming as possible for your new hire with mentors and training sessions. Work with new employees to create individual career development plans, and be sure to provide feedback so hires are aware of their progress. Orange Tree Employment Screening helps your HR department design effective candidate engagement strategies. Our mobile-friendly Candidate Connect portal tailors to your brand, ensures privacy and reaches qualified applicants wherever they are. 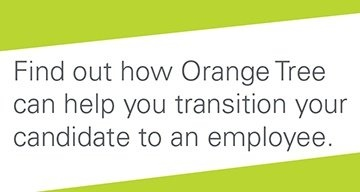 Contact our sales team to learn more about how Orange Tree can help you find the right new hires.